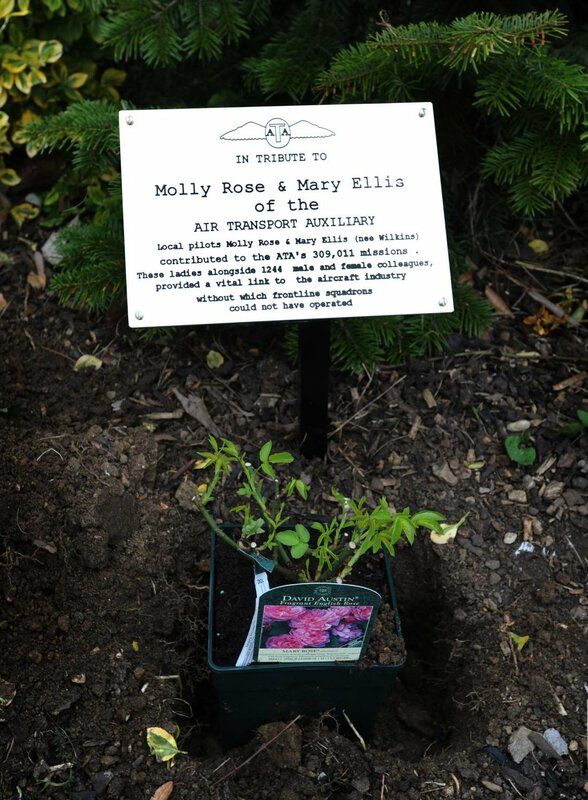 Celebrities of the aviation world have posted their thoughts on social media, such as Twitter and Facebook, about the death last week of Mary Wilkins Ellis. 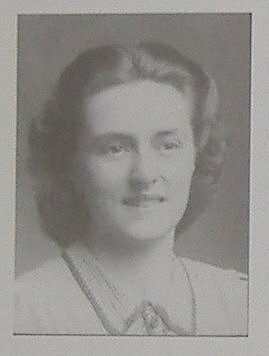 Tributes have been coming in to this website, which had the privilege to host Mary’s page, from ‘ordinary’ people who greatly admired Mary. (Is there ever such a thing as ‘ordinary’ people?) Below are some of the tributes. Statement issued 28 July 2018 from Wight Aviation Museum. 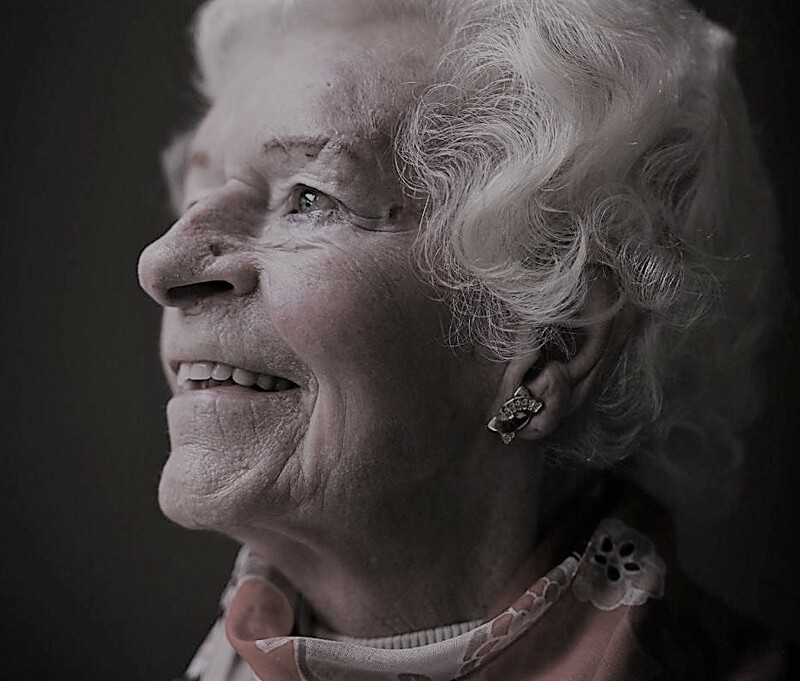 The Museum was extremely saddened to hear the news of the death of Mary Ellis at the age of 101. The Chair of the Museum, John Kenyon, wished to express the deep condolences of all its members to Mary’s family and friends at this sad time. 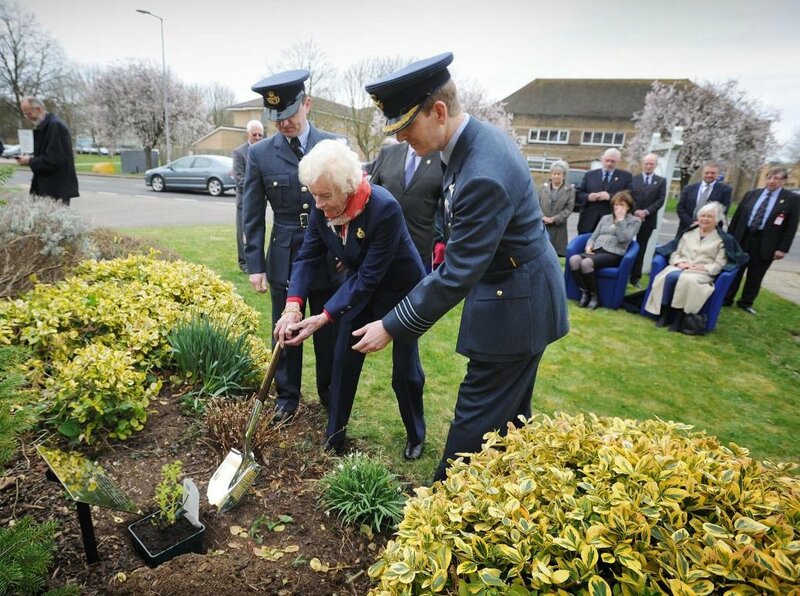 To read the full tribute to Mary go to the Wight Aviation Museum website. 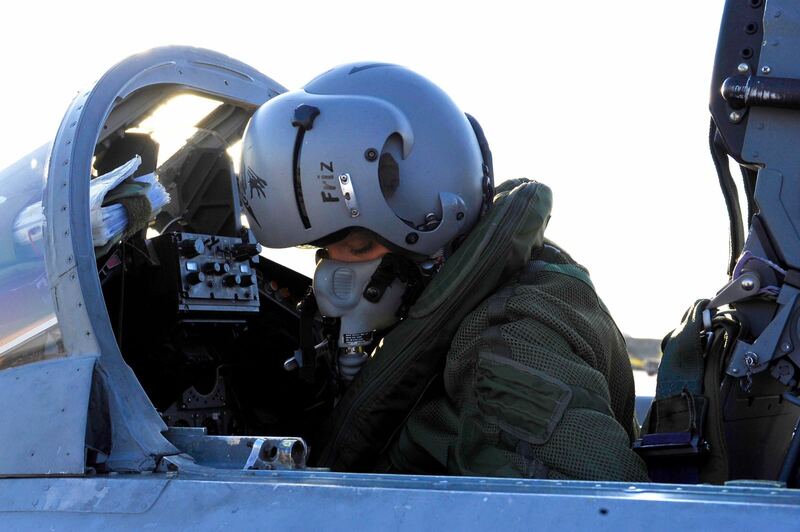 Captain Sara Frizzera in a Tornado of the Italian Air Force. Image courtesy of Captain Giorgio Catone. Sara’s husband, Captain Giorgio Catone, had been trying to arrange a secret surprise visit to the Isle of Wight for Sara so that she could meet Mary Ellis at Sandown Airport. Mary knew of this, as Solent Aviatrix had been trying to help Giorgio, by liaising with Mary. Captain Giorgio Catone and Captain Sara Frizzera of the Italian Air Force. Image courtesy of Giorgio Catone. Sara has said that she would like to attend any memorial service planned for Mary on the Island next year. Philip’s message was relayed on to Mary this spring. Spitfire P7370 – Southampton Roundel – Southwick Revival 2018. Image copyright Anne Grant. On Wednesday of last week when the news broke of Mary’s passing, Philip once again got in touch, “I’ve heard the sad news via one of the Facebook aircraft groups that Mary left us on her final patrol this morning…no doubt she is opening the throttle in order to catch up with Tom Neill and Geoffrey Wellum, in order to form an evening patrol of three Spitfires…. Condolences to all of her family and friends. 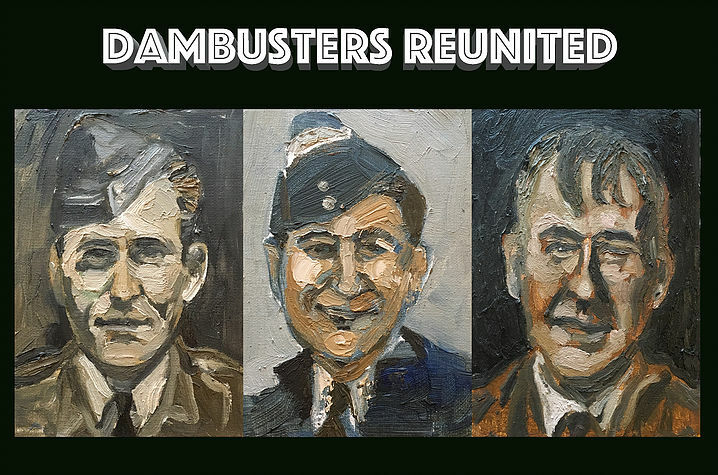 Dan Llywelyn Hall portrait artist Dambusters Reunited. Image courtesy of Dan. Dan Llywelyn Hall is a portrait artist who contacted Mary via this website. In February Dan wanted to paint Mary’s portrait. He also extended an invitation for Mary to attend a special fund raising RAF100 dinner at the RAF Club Piccadilly on 7 September. Then on Thursday last week Dan got in touch again, “Sincere condolences for the nation’s loss of Mary Ellis today. I’m sorry to hear the news. What a most remarkable lady. 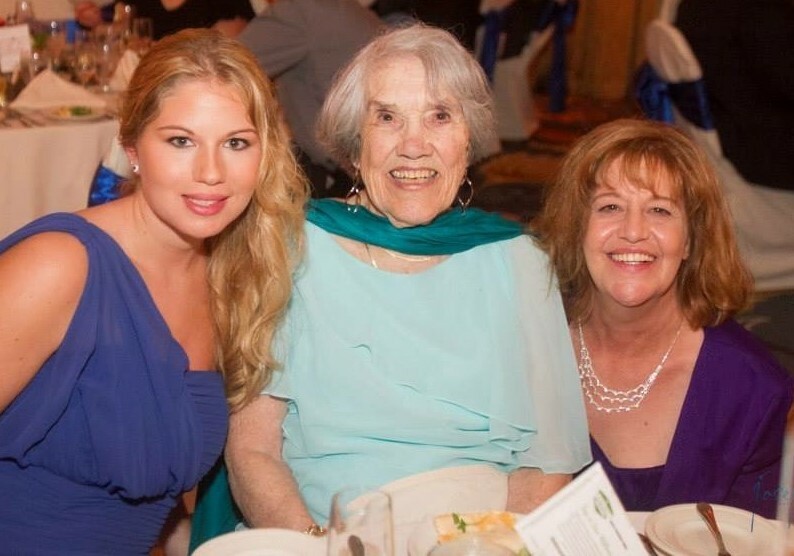 Kaitlin with her grandmother ATA pilot Yvonne MacDonald and Yvonne’s daughter. Image courtesy Kaitlin MacDonald. 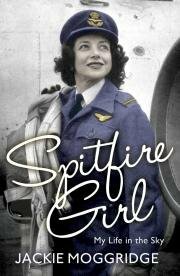 Last year Kaitlin, the grand daughter of ATA Spitfire Girl Mrs. Yvonne MacDonald found Mary’s page on this website. Kaitlin, who is in America, wanted to communicate with Mrs. Ellis to ask about her Great Aunt Joy Lofthouse. Joy and Yvonne were the only real ‘Sisters In Spitfires’. Kaitlin was put in touch with Mary. Such has been the world wide coverage of Mary’s passing. 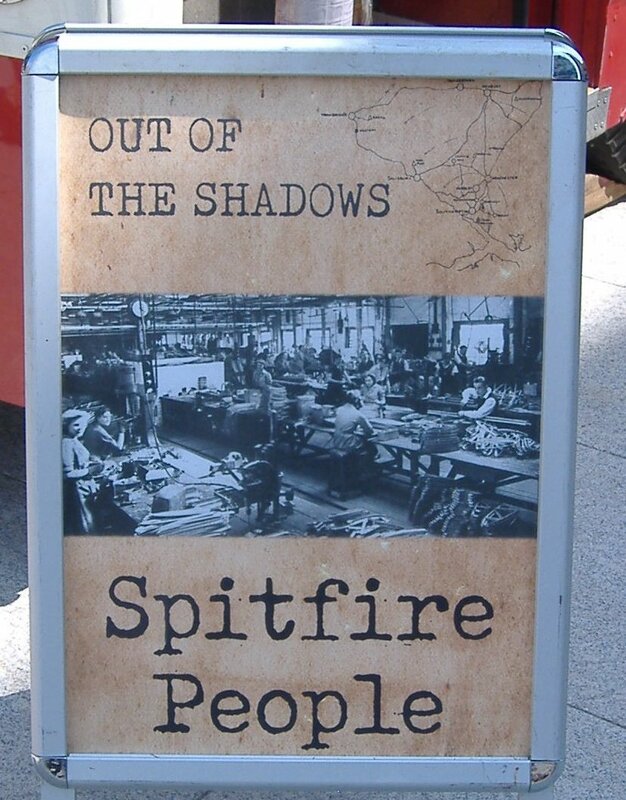 Out of the Shadows Spitfire People Secret Spitfire Factories Nuffield Theatres Southampton. Three years ago the makers of the documentary ‘Secret Spitfires’, now on general release in cinemas throughout the UK, found Mary’s web page here and asked to contact her. They visited Mary at her home and filmed her for inclusion in this fascinating film. 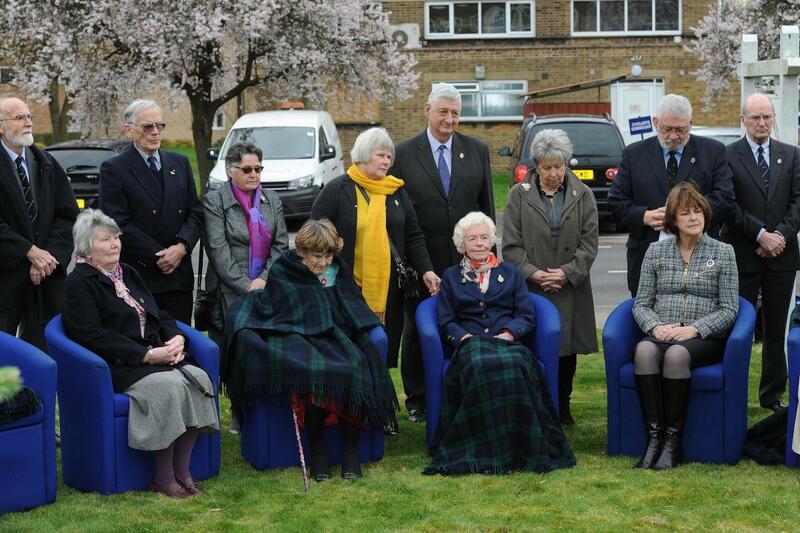 It also features the late Joy Lofthouse and Stella Rutter. Well, if that was so Mrs. Ellis, you certainly packed in a lot of late life experiences in the intervening decade until now. It must have helped to make up for all the preceding sixty years when it seemed that few people of the generations below you had any interest in or respect for what you and everyone else did in the ATA. We salute you all. The same applies to everyone, who ‘did their bit’, in all the armed forces and in ‘civvie’ street – overlooked, forgotten and seemingly irrelevant to far too many people in today’s complacent, soft living 21st Century. Sad news received today 16 November. Joy Lofthouse in 2016. Image courtesy of Charles Stewart. 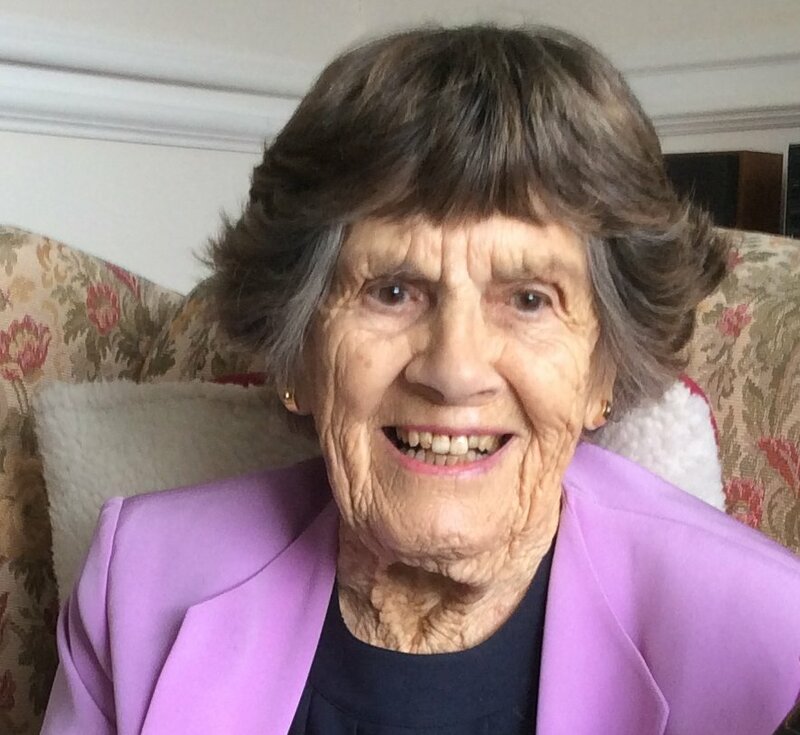 Yesterday Joy Lofthouse passed away at home. Rest In Peace. The RAF will celebrate it’s centenary in 2018 and will put on a special exhibition. They are asking the public about exhibition content. The RAF Museum has nominated 11 pilots and are inviting people to vote for their choice of Spitfire Pilot. Jackie Moggridge has been nominated by RAFM volunteer Cathie Mulcair. Jackie is the only woman pilot in the list. Currently she is in third position in the poll. Topping the poll is a Polish pilot Franciszek Kornicki. In second place is Sir Douglas Bader. It is not too late for you to add your vote. 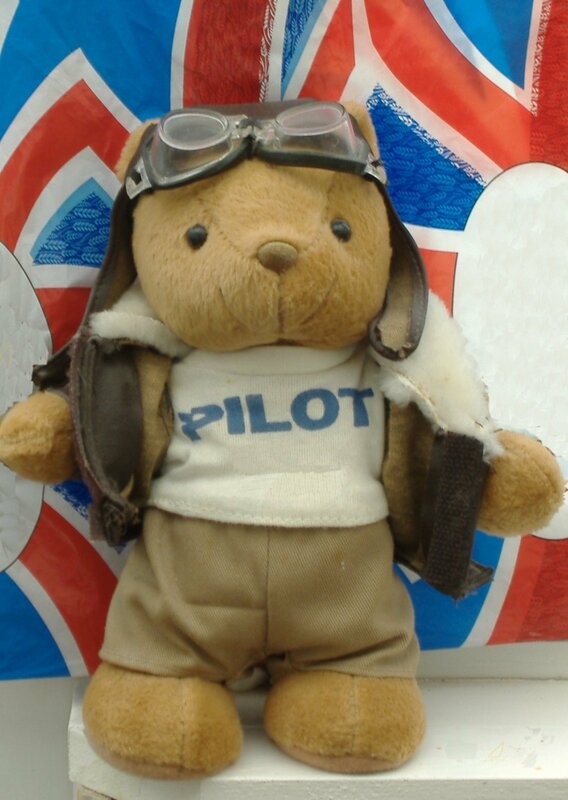 Follow this link to The People’s Spitfire Pilot Poll and click the box next to the pilot’s photo. News has reached Canada of the aim to raise money to buy a rare Cowes-built Spartan bi-plane (UK registration G-ABYN, NZ registration ZK-ARH). The aim is to return it to the Isle of Wight (IW) from New Zealand. Spartan ZK-ARH (New Zealand registration). Previously registered in the UK as G-ABYN. Centenarian Syd Baker, also known as John, worked at Somerton Airfield, Cowes for Spartan Aircraft during the 1930s. Spartan was then part of aeroplane maker Saunders Roe (SARO). Syd celebrated his 100th birthday in September 2015. 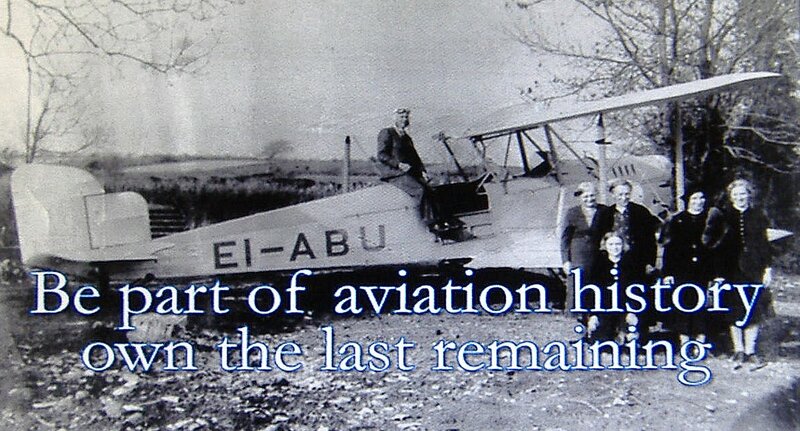 A copy of his memoir, of a lifetime working in aviation, was placed in the Canada Aviation and Space Museum (CSAM). Syd’s friend Colin Hine of Ottawa, an aviation historian and biographer, showed Syd a report featured in UK FlyPast magazine about G-ABYN and about the dream to form an Aero Museum on the Isle of Wight. Syd wants Islanders to know he shares that enthusiasm and is keen that his memories should be included in any future IW Aero Museum. Syd worked on several Spartan planes at Cowes, including Spartan Arrow G-ABOB which was flown by Col. Strange, well-known SARO test pilot. SARO chief engineer Fred Jeans trained Syd. 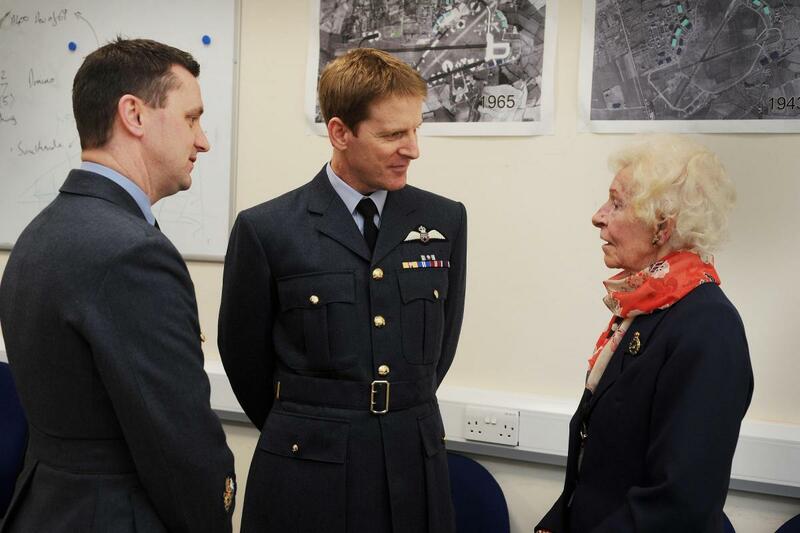 He thinks Fred almost certainly tutored Dorothy Spicer during her training period at SARO. Syd emigrated to Canada after World War 2. There he worked for Spartan Air Services, a company that had no connection with Spartan Aircraft (IW). He’s also pictured here with Canadian astronaut Col. Chris Hadfield, taken at CASM in 2015, on Syd’s celebratory tour just after his 100th birthday. (CASM photo courtesy of Erin Gregory, Assistant Curator). Solent Aviatrix thanks Colin Hine for sourcing and sharing these photos. Follow this link to learn more about the Canada Aviation and Space Museum. (photo courtesy of Leslie Law, Syd’s daughter). Dr. Geoff Witt, a retired avionics expert, has taken up the challenge of trying to recruit interested enthusiasts and businesses, to attempt to raise the money to buy and return G-ABYN. 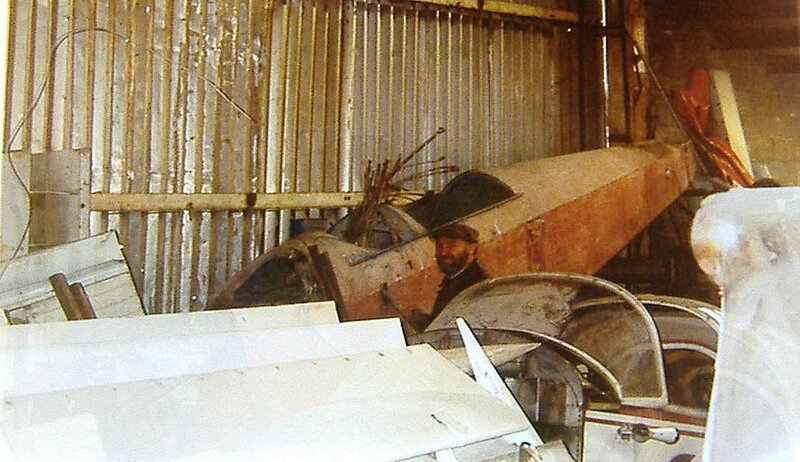 Geoff will be exploring the possibility of jointly working with John Kenyon, a member of the IW Flying Club and the Britten-Norman Aircraft Preservation Society (BNAPS). Also with Bob Wealthy, BNAPS Chairman, who leads a team of volunteers restoring the world’s oldest Britten-Norman BN-2 Islander (G-AVCN). Bob and John are both enthusiastic supporters of the concept of an Aviation Heritage Centre as a visitor attraction on the Island, to tell the wider story of IW aviation heritage, which could well include the Spartan G-ABYN and Islander G-AVCN as major exhibits. BNAPS has just gained access to a larger workshop space on a temporary basis. But there is an urgent need to find a permanent Island home for the Islander by April 2017, on its 50th anniversary, so it can go on public display. By planning to put these two aircraft together with other artefacts, this would showcase living examples of the successful and creative engineering skills of the Island workforce, which must be remembered. Michael Lilley, Deputy Chairman of the IW Green Party, advocates a Solent marine aviation heritage on the Island. He believes it would be a great tourist attraction. Good proof of this is Solent Sky Museum in Southampton that has good footfall. Michael cites the rich engineering history of SARO and J. Samuel White. His father, Prof. Geoffrey Lilley of Ryde, played a significant role in advancing aviation in the Solent region. Prof. Lilley worked with R. J. Mitchell of Spitfire fame. Contact John via mj.kenyon90@btinternet.com The IW Flying Club meetings are every second Wednesday of the month, at Ocean View Hotel, Shanklin, 6.30 for 7.00pm. Coming soon – the visual story of how Rod Hall-Jones saved Isle of Wight built Spartan G-ABYN, (just call her GABBY) from a rusting wreck in Ireland and rebuilt her to her former glory. Just take a look at these images below to give an idea of what Rod achieved. 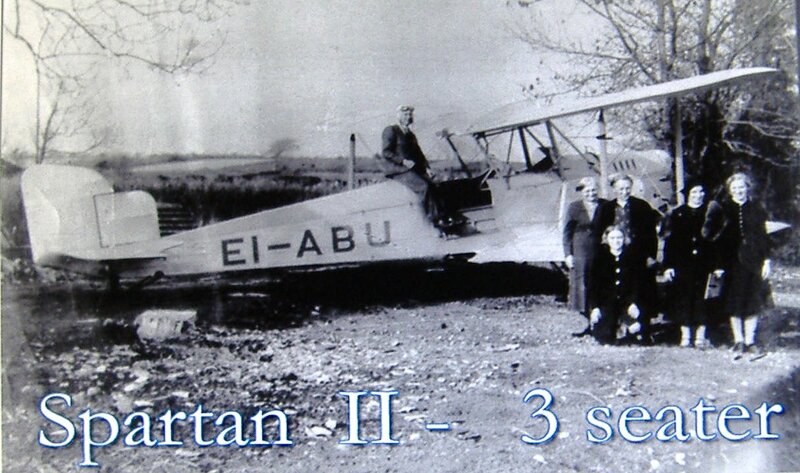 Spartan II 3-seater EI-ABU before it became ZK-ARH. The wreck found by Rod Hall Jones in Ireland. EI-ABU in pre-wreck days in Ireland. 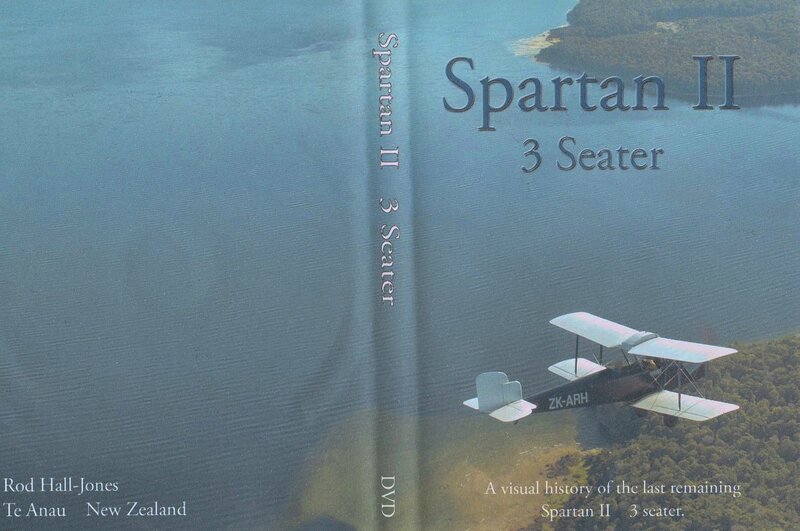 Be part of Aviation history, own the last remaining Spartan ii 3-seater. 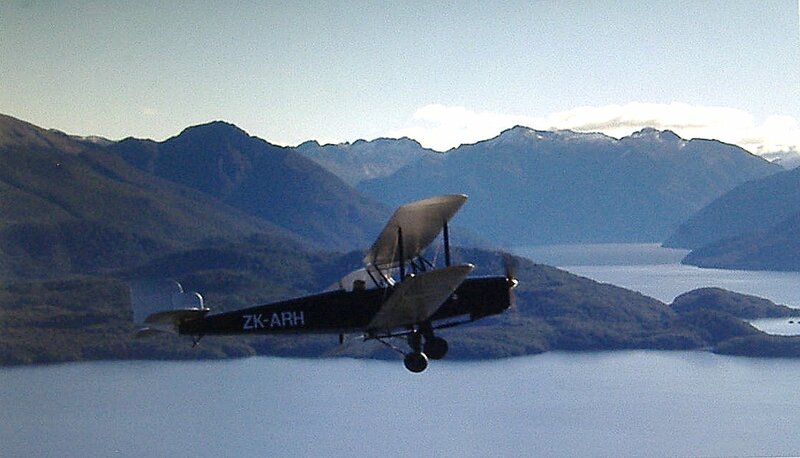 And this is GABBY in flight in New Zealand: Beautiful eh? Spartan ii 3-seater ZK-ARH flying in New Zealand. Rebuilt by Rod Hall Jones.